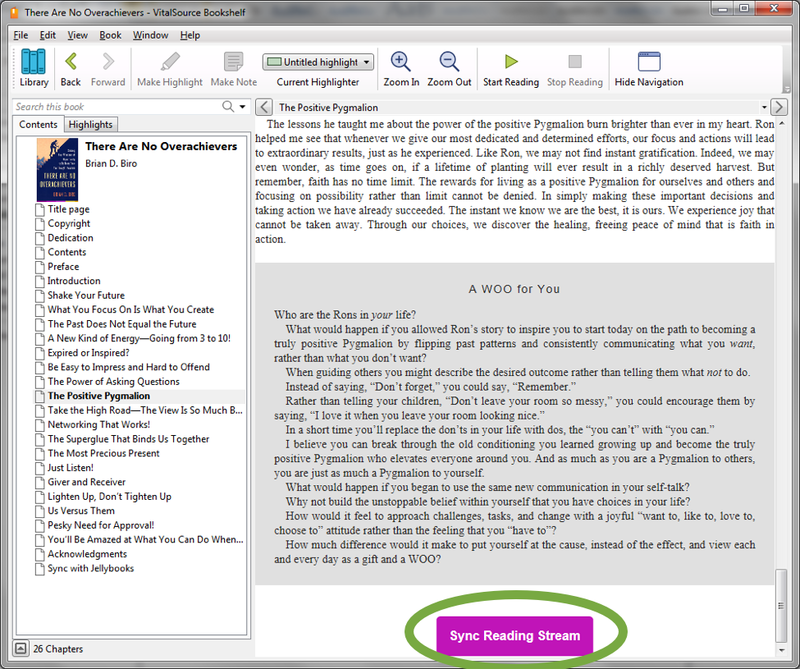 Go to www.jellybooks.com, log-in and click on “My Books”. Select the book you want to read (by clicking on the cover of that book) and then click on the blue “download ePub” button. Make a note of the directory to which you are downloading the file (this is different from browser to browser). In Chrome or Firefox you can click on the browser menu (3 vertical dots in the upper right hand corner) and click on “Downloads”. The ebook you just downloaded will be at the top of the list. 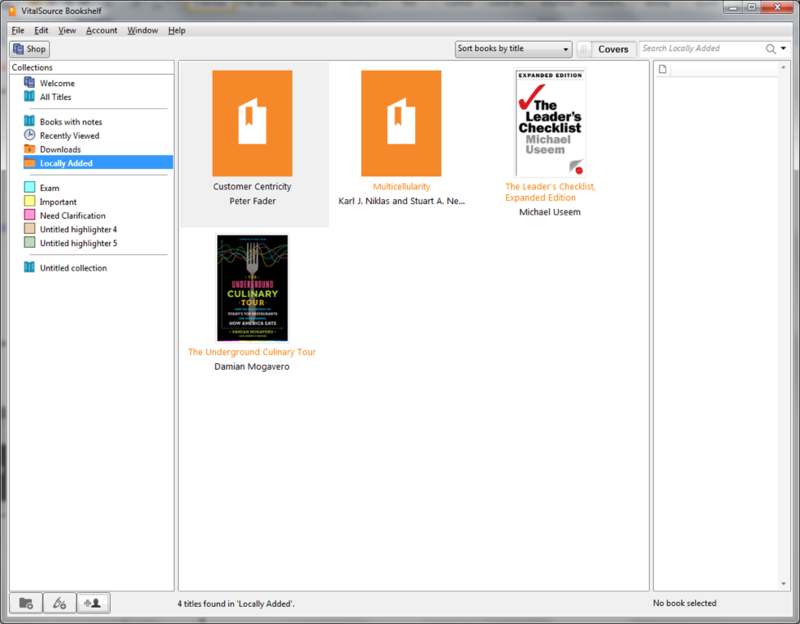 Alternatively, you can use the Windows search function (located in the start menu) to search for files ending in .epub. If you have made Bookshelf your default app, the book will automatically be added to you “locally added” folder in Bookshelf, else follow the steps below. Open the Bookshelf app and you will see the following home screen (Version 7.1.0). 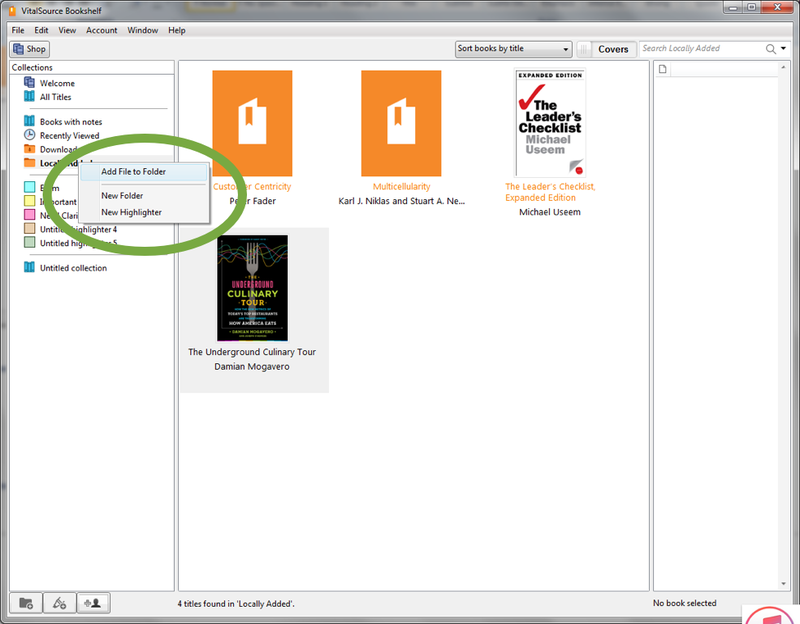 Choose “Add file to folder”, navigate to the directory to which you downloaded the book and click “open”. 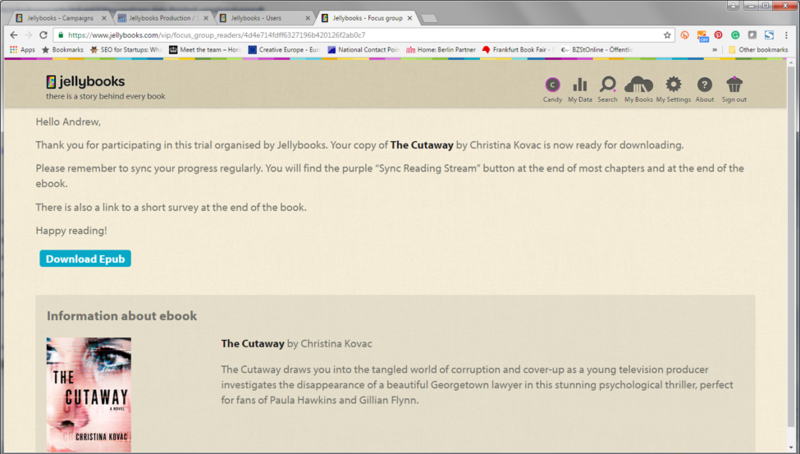 Add the end of each chapter you will find the purple Jellybooks “sync reading stream” button.